California Live Scan Fingerprinting Centers is in the process of expanding its Bellflower Live Scan fingerprint service locations. This will give Live Scan applicants and those needing ink card fingerprinting services greater flexibility in meeting their needs in a convenient and timely fashion. Be sure to take advantage of our online appointments (http://LiveScan-Appointments.com) that includes time-slots for Bellflower Live Scan fingerprint service locations. Online appointment scheduling access, chat service with a live person, walk-ins and other great services are made available to all of California Live Scan Fingerprinting Centers. It is our ongoing commitment for Bellflower Live Scan fingerprint service locations along with the other California Live Scan Fingerprinting Centers, to ensure the continuance of being the premiere Live Scan fingerprint service contact for all of our clients needs. Clients find our California Live Scan Fingerprinting Centers are conveniently located, no appointments are necessary, walk-ins welcomed. The staff is highly trained and are DOJ /FBI certified Fingerprint Roller Technicians. Part of our endeavors is to ensure that our Bellflower Live Scan fingerprint service locations provide that unique quality of service and great satisfaction our clients have come to expect. To learn more or to make an appointment, call California Live Scan Fingerprinting Centers and talk with a real live person today at (888) 498-4234, you also have the option to chat with us online at http://LiveScan-Fingerprinting.net. 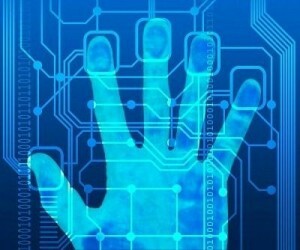 California Live Scan Fingerprinting Centers continues to identify, establish and development new Livescan locations. Currently we are giving careful consideration to a few Beverly Hills Livescan fingerprinting locations in Los Angeles County. It is our ongoing commitment for future Beverly Hills Livescan fingerprinting locations along with our other California Live Scan Fingerprinting Centers, to ensure that we will continue to be the premiere contact for all of your Live Scan needs. Part of this task is providing exception customer service with a smile. 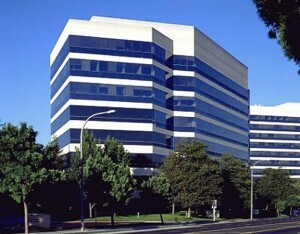 Part of our endeavors is to ensure that our Beverly Hills Livescan fingerprinting locations provide that unique quality of service and great satisfaction our clients have come to expect. Citizens of the United States (U.S.) planning to go abroad more than likely find themselves being asked to present a “certificate of good conduct” or “lack of a criminal record” for a variety of reasons such as adoption, school attendance, employment, and various visas purposes. Those planning traveling outside the United States quickly learn to much astonishment that their friendly local law enforcement agencies may not all be familiar with such a procedures since it is not commonly requested in the U.S. The FBI Identification Record Request can be obtained by those submitting their fingerprints on a FD-258 Ink Fingerprint Card to the FBI as part of the identification and verification process. The criminal background check record on file will then be processed by the FBI database through comparison of fingerprints. There are a variety of options available to those in the U.S. trying to obtain “certifiable” and “acceptable” proof of their identification record request report and/or their lack of a criminal record. Such options may consist of a “Local Police Check” and “FBI Record Check”. If you are planning to do a Local Police Check, it is strongly suggested that you call ahead and verify if such a service is provide there. You may also consider double checking with the requesting agency of the country you plan on traveling to and see if just a Local Police Check is the only criminal background check report they will need. The second option of getting a criminal background check is requesting your own FBI Identification Record or proof that a record does not exist. The Criminal Justice Information Services (CJIS) Division of the Federal Bureau of Investigation (FBI) provides personal data information for a person’s FBI Record Check to local, state, federal, and international law enforcement agencies, the private sector, academia, and other government agencies. FBI processing times are normally between 16 and 18 weeks. Contact us via the California Live Scan Fingerprinting Centers corporate office at (888) 498-4234 or visit us online at http://CAL-LIVE.com to learn how you may be eligible in getting a FBI Identification Record Request, Police Clearance, in as little as 2-3 business days. Be sure to as for the “FBI Express” criminal background check service. Note: A request for your FBI Identification Record or proof that a record does not exist can receive an Apostille by using our FBI Expedite service. Learn more by visiting http://Police-Certificate.com, contact us at (888) 498-4234.